This little chat is course seven of Wayfair’s 15 Course Meal and has been generously sponsored by Wayfair (but, of course, all overly opinionated statements are my own). If you are new to this moving party, please check out the previous courses (appetizer, cocktail, cheese, antipasto, soup, and salad). If you are following along with the party but new here, welcome! I hope you’ll stay awhile. Update: links to each of the other 14 courses are now included at the bottom of this post. If you know me at all, you know that I could eat pasta every single day. I can admit that my pasta consumption during the fall and winter is bordering on overload and I’d like to say that I take a break from the pasta in the summer. Not so. Just because it is grilling season does not mean that we should cease and desist with the pasta. Let’s just lighten it up a bit. The beautiful thing about pasta is that it comes in all shapes and sizes and is a perfect vehicle for whatever is growing in your garden. Tomatoes? Try some fresh, homemade sauce. Green beans and peas? Just add prosciutto. Zucchini and corn? I’ll take mine with orzo. Do you see where I’m going with this? Those of you who have planted mint in your garden know that it grows like a weed. A weed, I tell you. Mint spreads like crazy but is excellent in pitchers of water or tea. Or as a flavor for ice cream. It turns out that mint also makes for some pretty tasty summer pesto. I mentioned a month or so ago that we had tried a great recipe from Bon Appétit for green bean salad with arugula-mint pesto. I am a total fan of green beans, but they are not quite in season yet where I live. I was itching to try this pesto again with a few updates and pasta seemed like the logical vehicle for experiment. If you’ve never made pesto before, it couldn’t be easier with a food processor. My food processor spent a lot of time – years – in the pantry unused until I realized how fantastic it really is. Now I have two: one for small jobs and one for big jobs. 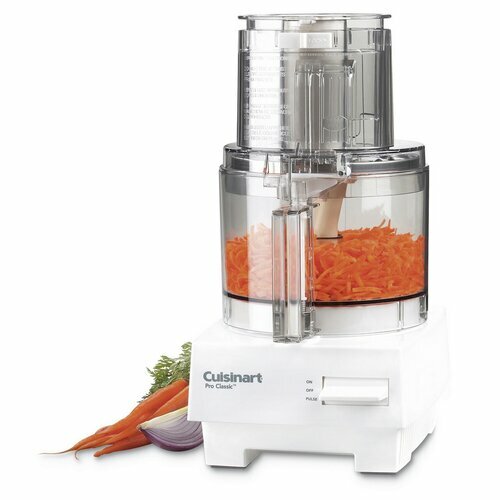 If you cook, you need a food processor. Just trust me on this one. But if you don’t have a food processor, or if your power goes out just as you are about to hit the pulse button on your pesto (this may have happened to me in the making of this particular dish – thank goodness for gas stoves), this pesto is also easy to make with a chef’s knife. The original recipe includes roasted almonds, parmesan, lemon juice and water. We live in a no air conditioning zone, so I was not interested in turning on my oven to roast anything. I looked up a few other non-traditional (read: no basil) pesto recipes and found one that used pistachios instead of almonds. I think walnuts would work well too, but I loved the pistachio flavor. Extra bonus: no roasting required. I switched out the parmesan in favor of pecorino, which I find has more flavor. It seems a bit saltier to my uneducated palate. If there’s one thing that I always find pesto needs once it is mixed into a dish, it’s salt. I skipped adding salt to the pesto itself but made sure my pasta water was good and salted. A little note on this. Marcella Hazen, Goddess of Italian Cooking, said you should use 1 ½ tablespoons of salt to four quarts of water when cooking one pound of pasta. Mario Batali, on the other hand, seems to consistently use 1 tablespoon salt per four quarts of water for one pound of pasta (except, of course, when he uses 3 tablespoons to six quarts of water). I’ve tried it both ways and think the results depend on how much salt is in whatever goes with your pasta. In this case, I went with Mario because I was afraid to over-salt the dish. You can always add, but you can’t take away. Both chefs also suggest (I use the term loosely here because I don’t think Mrs. Hazen ever suggested anything – she seemed a bit more direct from my read of her lovely books) that salt be added to the water after it has come to a complete boil, and that the salted water be allowed to return to a boil before adding the pasta. I have no idea why this is, but if Marcella and Mario say to do it, I’m in. I skipped the lemon juice and skipped adding plain water to the pesto in favor of using pasta water to hold the dish together in the end. Let’s be honest. I didn’t have any lemon on hand when I made this. I might try the lemon next time (or you can and let me know what you think). Crazy, but true. Bring 4 quarts water to a boil. Once it is boiling, add one tablespoon salt and let the water return to a boil. Cook pasta until al dente. While your pasta is cooking, combine mint, arugula, pistachios, garlic, and one ounce pecorino in the bowl of your food processor. Pulse all of your ingredients until chopped fine. Drizzle in olive oil and blend to make a nice paste. At this point, you can add a bit of water from the pasta if you’d like. Once your pasta is cooked, drain it, reserving one half cup of the cooking water. Combine pasta with pesto, adding a bit of pasta water if your pesto isn’t adhering to the pasta. Season to taste with salt and fresh ground pepper. Serve immediately, topped with shaved pecorino. We served this dish with salmon and asparagus, both grilled simply with olive oil, salt, and pepper. It was delicious. The mint and pistachio flavors combine for a full, fresh tasting pesto. * A word about weights and measures. I used to shy away from all recipes that included ounces or pounds of anything. 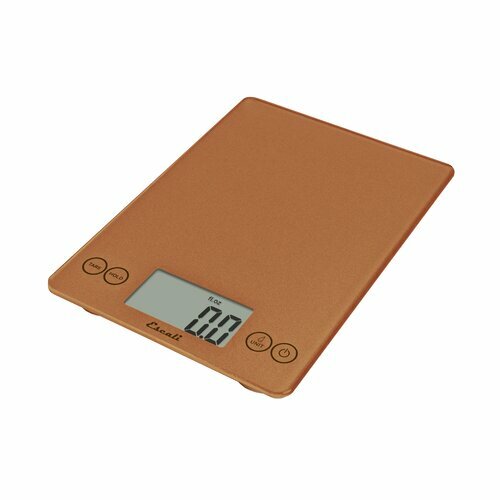 Then my husband and I started experimenting with classic Italian cooking and bought a kitchen scale. Honestly, I prefer to weigh things than measure. I would leave my scale out all the time if I had space in my kitchen. Weighing (especially in baking) makes for a much more successful cooking experience. Do yourself a favor and get a scale. Try it out. Explore some foreign recipes. You can thank me later. Below are the links to the rest of Wayfair's 15 Course Meal. Some good looking choices if you ask me! White Cheddar Garlic Knots, Pomegranate Paloma, The Perfect Cheese Platter, Easy Antipasto, Southwest Chicken and Rice Soup, Roasted Vegetable Salad, Strawberry Mint Sorbet (Intermezzo), Grilled Fish with Watermelon Salsa, Dutch Oven Cornish Game Hens, Ranch Parmesan Roasted Tomatoes, Pan-seared Steak, Derby Cake, Pink Grapefruit Black Pepper Granita, and French Vanilla Frappuccino.